A handwriting font with monoline style. Aiming the easy usage for any kind of profession, it didn't need any special skill to use this font. So i can say that it will perfectly fit for any of your personal or commercial branding projects, or just an auto-chic for your stuff. 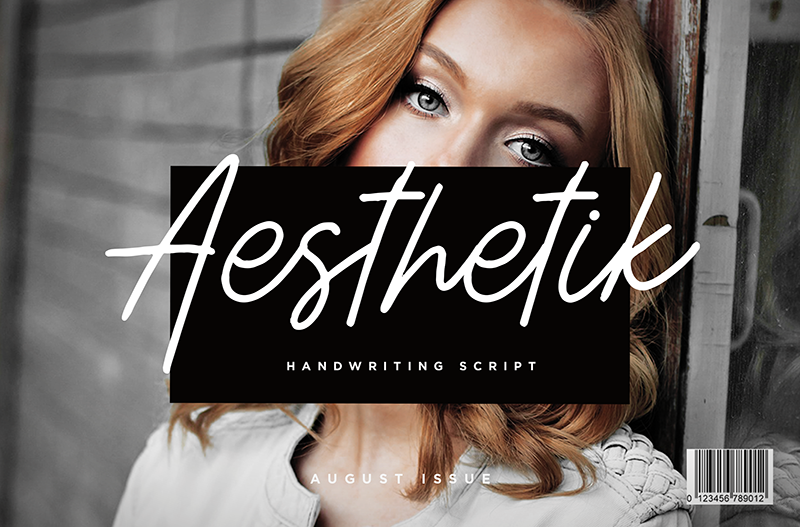 That's what Aesthetik - Handwriting Font born from.